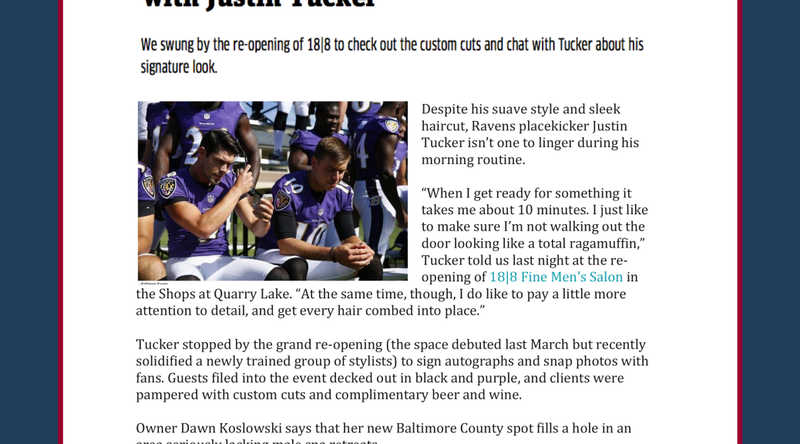 All Points PR secured coverage in Baltimore Magazine for 18|8 Fine Men’s Salon’s most recent grand opening in Pikesville. The article shared information about the grand opening including events and special guests. Coverage ran online.